Sven is a Creative Content Executive with a 20 year career in broadcast media – experienced in original content development, multi-platform distribution and agency management on a global scale. 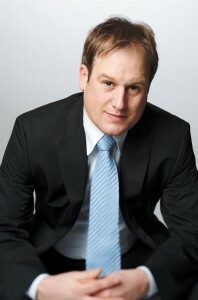 He is an innovative thinker, thought-leader and visionary in the area of storytelling with invaluable experience as an award-winning broadcast journalist who worked at media companies across Europe and the US coupled with cross-media and industry knowledge gained at two global fortune 500 players. He is a well-connected influencer, blogger and frequent speaker at global industry conferences and events. Currently responsible for all visual content creation at Shell globally. Overseeing global production companies, visual agency working and digital content strategy. Activity across all continents and time-zones with responsibility for a global team of managers and executive producers in Australia, China, Singapore, US, England, Nigeria and the Netherlands. Commissioned award winning digital (visual) content with some of the world’s leading broadcasters and media organizations.